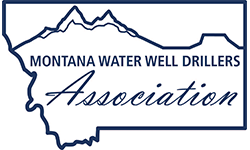 The Montana Water Well Drillers Association (MWWDA) is pleased to offer $1,000.00 scholarships to deserving family members of MWWDA Members. The Association recognizes the need for educational advancement at all levels of the industry and seeks to support students pursuing their educational goals. Applicant must be a member of the Montana Water Well Drillers Association (MWWDA), family member of MWWDA, employee of MWWDA member, or direct family member of employee. Applications must be completed in full and received by the MWWDA no later than June 30, 2017. Scholarships will be awarded July 30, 2017, by the Scholarship Committee. Funds will be paid directly to the academic institution. • Scholarships are for an accredited college, university, or technical school. • Applicant must have a minimum 2.5 GPA. • Applicant must be a U.S. citizen or legal resident of the U.S.
• Awarded applicants will be requested to submit a picture and article for publication. * Priority will be given to an applicant entering a field of study that promotes, serves, or supports the ground water industry. Selection of the Scholarship award will be based on applicant’s goals, financial needs, academic achievements, school and community involvement, work experience, and additional courses (not necessarily in this order) and will be selected by the scholarship committee. Upon notification of enrollment from the scholarship recipient the funds will be sent directly to the educational institution at the beginning of the 1st semester. Contact the MWWDA office at 406-686-3168 for further clarification and to inform us of enrollment.